Colorado is all abuzz about the Denver Broncos heading to Super Bowl 48. 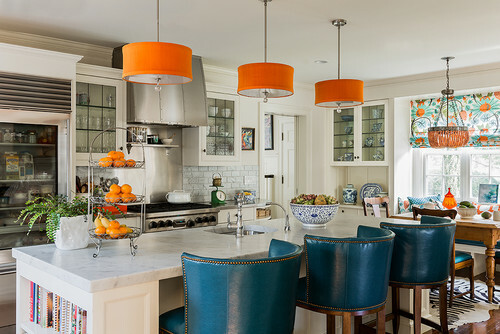 In honor of the big event and my favorite team, I’ve got to share Orange and Blue decor ideas. Orange & Blue look great together because they are complimentary colors, or colors that are directly opposite each other on the Color wheel. Other complimentary combinations include Red & Green and Yellow & Violet. The opposite nature of the colors creates a pleasing balance to our eyes. The colors are dynamic together, playing off of each other. For more on this, read about Color Theory 101. Moving forward with orange and blue, we have two great options from the Pantone 2014 color report: Dazzling Blue and Celosia Orange. Don’t these colors look lovely together? Imagine adding just a hint of each to a neutral room to really spice it up. Now let’s really see orange and blue in action together. 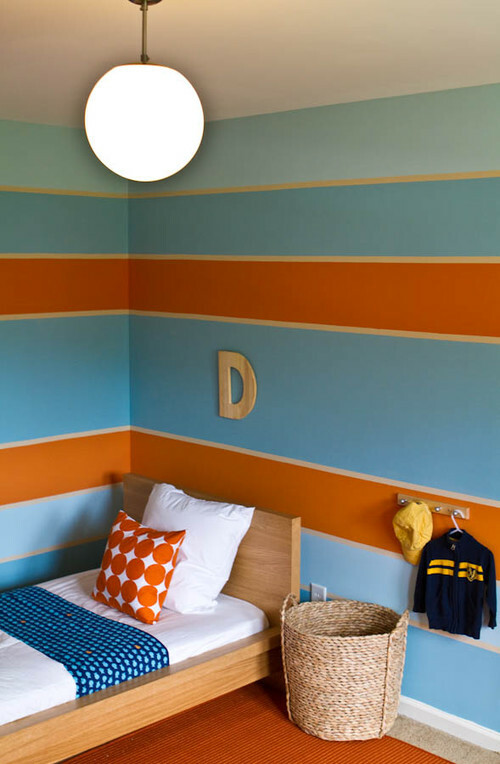 The following rooms feature Blue and Orange at deep, full hues. However, some rooms go full color and others add just a splash of the two colors. Both techniques create interesting and energetic rooms. As often happens with colors opposite on the color wheel, the full hues can be quite intense. 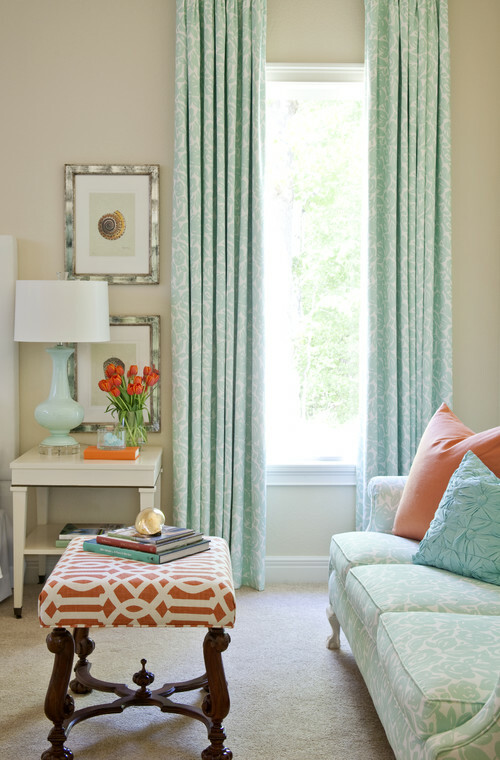 Toning down the blue to a softer turquoise and the orange from tangerine to coral, creates softer rooms. The intensity and energy is lowered, but the resulting combinations are still incredibly pleasing and balanced. I often see rooms with just a neutral and blue combination. Adding just a touch of orange could completely change the mood as in the room below. What do you think of orange and blue interiors? Do you love it or would you leave it? Do you live with orange and blue interiors now? Share with us on Facebook.